My name is Joanne Simpson and I am an award winning professional pastel pet portrait artist living in High Peak, Derbyshire UK. 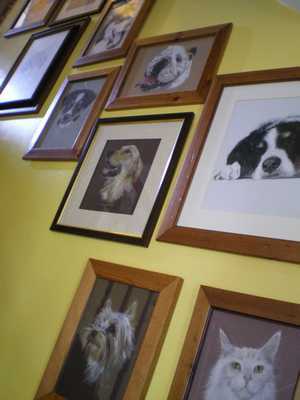 I started my pet portrait business in 2005 and am now an established pet portrait artist. 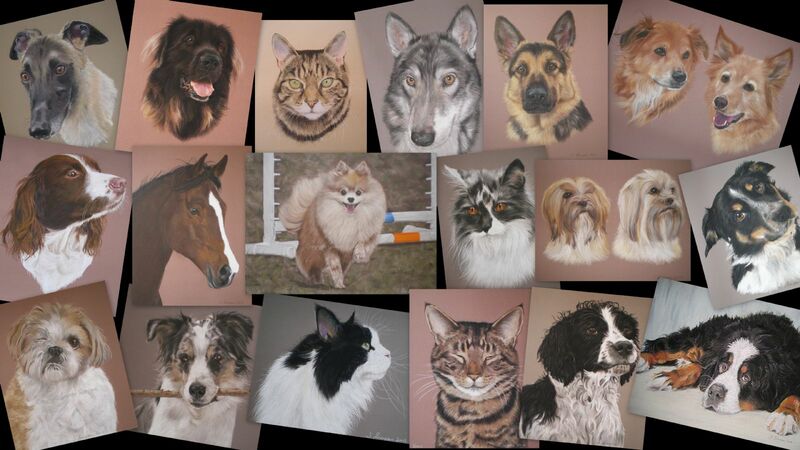 I work from your detailed photographs to produce a true likeness of your pet. I use only the finest quality pastels and paper. My portraits are all hand drawn and unique and take many hours to complete. Each portrait is as individual as the pet itself and I pride myself on being able to achieve an exacting likeness. I hope you enjoy my pet portraits. An ideal gift for any pet lover whether it's a memorial portrait, creating a lasting memory of a beloved companion, or a portrait that captures the character and spirit of your pet today. If you are a gold card holder you will be entitled to a 10% discount off a portrait. Proof of having a gold card will be needed. A big thank you to everybody who voted for me. If you're looking for a quality hand drawn portrait then look no further.